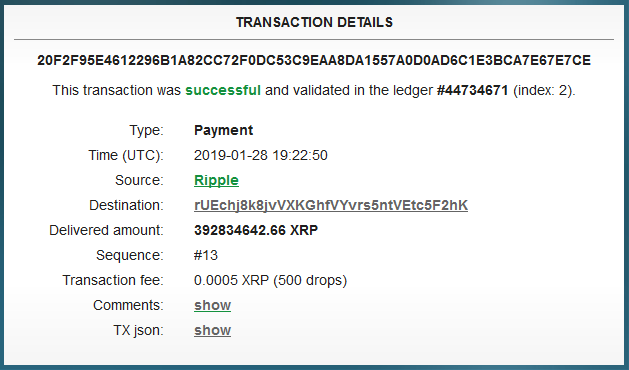 Ripple moved a considerable amount of XRP around today in two transactions totalling over 850 million XRP. One was to Bitstamp, a major exchange which trades in XRP amongst other coins, and the other was to an unknown address, though presumably for a form of escrow. 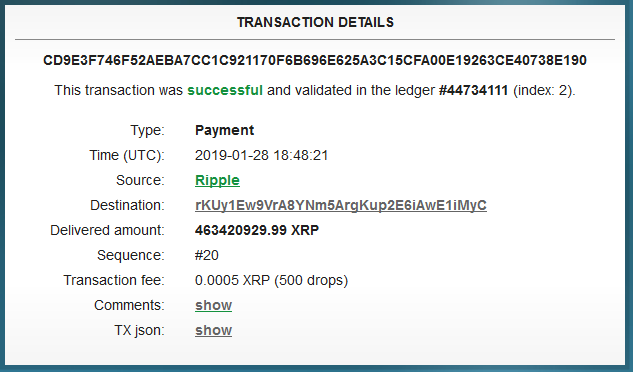 It is more than likely this is an intended excrow address that Ripple controls. Nonetheless, it is interesting to note the company is moving money around, though this type of activity is hardly unprecedented. If anything else develops, be sire that Chepicap will be right here to cover it! Sure that both purses belong to Bitstamp and this is nothing more than dirty machinations. ohh I even didnt think about that. maybe its true and expected to see bitstamp fraud. I think such transactions don`t stuck. This one looks suspicious. do you understand?